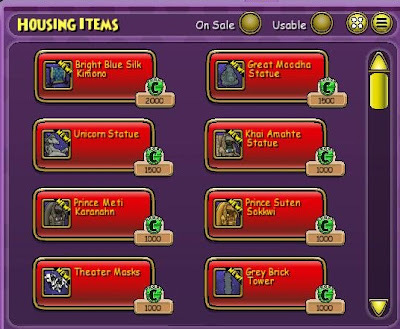 So I went on Wizard101 this morning and realized Kingsisle had updated the crowns shop with tons of new housing items. Some of them look pretty cool. 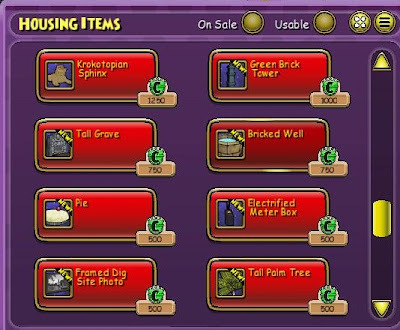 Here are some screenshots you can see the new items and their prices in. 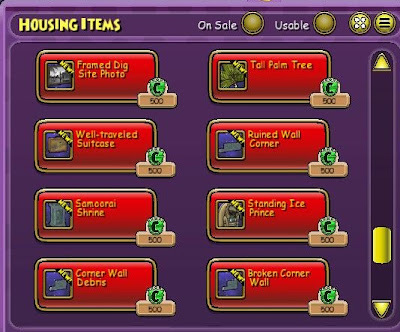 I don't usually buy crowns items for myself, but I did by a brick well for the garden I am working on at my Watch Tower Hall. Anyway, it's always nice to see new items being released. Comment below and tell me what your favorite new item is. Thanks for reading! 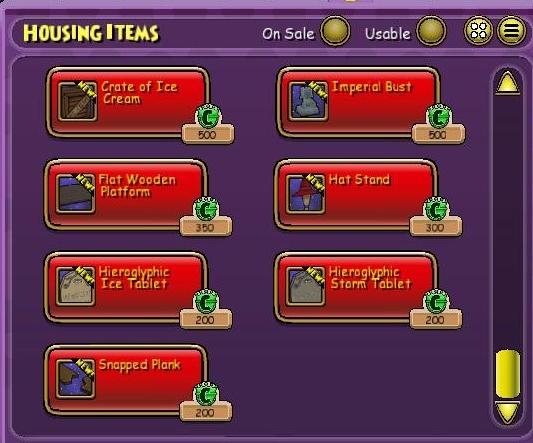 Aww, I'm sorry :( Bad luck.